The role of IT leaders in manufacturing has undergone significant changes. It used to be one based primarily on keeping the hardware and software architecture running, along with desktop support management. Now, with 24/7 operations and streams of big data, technical leaders are more focused on initiatives that meet production needs and boost the bottom line. Or at least they try. Data is your lifeblood, so it’s critical to keep it safe and secure. Cloud ERP allows your users to safely access data anytime, anywhere, on any device. Uptime, redundant data centers, and physical security must be at the highest industry standards to ensure that your data—and livelihood—is safe. The constant push to drive costs down and gain more value from your investments is ever present. On top of that, you’ve got to make sure your company tracks inventory and waste down to the penny—and make the data readily available. Cloud ERP eliminates error-prone manual data entry with automation so you can actually trust the data to identify opportunities for improvement. You know your team could be used for more value-added tasks than compiling data from disparate systems or managing and maintaining software version control. 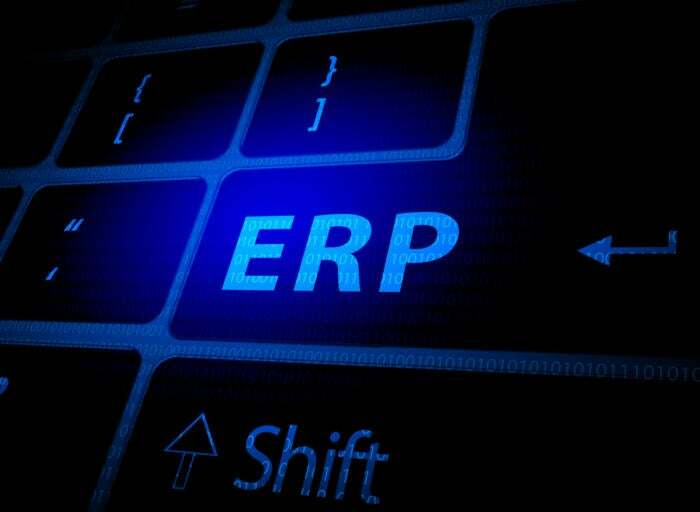 Cloud ERP simplifies your systems conundrum by providing a single, enterprise-wide database running one versionless ERP software code, and eliminates the maintenance merry-go-round so effort and costs are predictable, not outrageous. Quality delivered on time is your competitive edge. For that you need an ERP system that leverages built-in checks and balances throughout your manufacturing processes. You need to ensure that systems are integrated to streamline workflows and data consistency. Cloud ERP built for manufacturing provides the operational efficiency and consistency necessary to increase performance. Most IT leaders don’t get enough budget, time, or resources to truly innovate but this is where you can add the most value. From integrating new technology to supporting Industrial Internet of Things (IIoT) advancements, a fully connected, constantly updated, modern cloud ERP system gives you the ability to innovate. Without stretching budgets or resources too thin. Without having to maintain software versions. And without painful, disruptive, expensive upgrades. That means your team can focus on driving new value-added business processes and taking advantage of the latest innovations. See what other manufacturing IT leaders recommend in their search for cloud ERP. Download the white paper: ERP Selection and Implementation Tips from Manufacturers Who Have Been There, Done That.